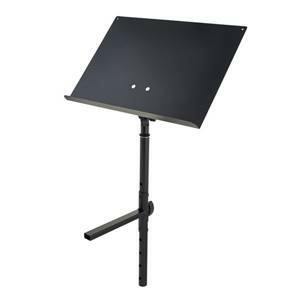 A lightweight orchestra music stand with collapsible music desk made of plastic; perfect for mobile use. 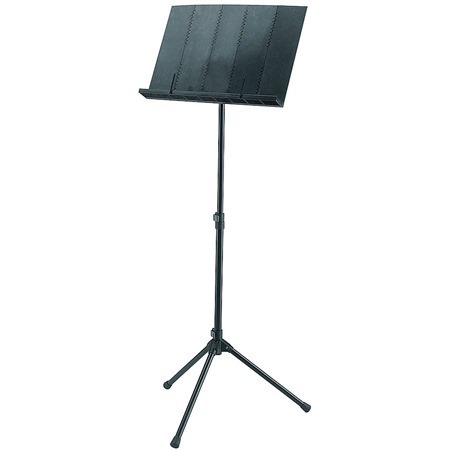 The stand comes with a black nylon bag for easy carrying. 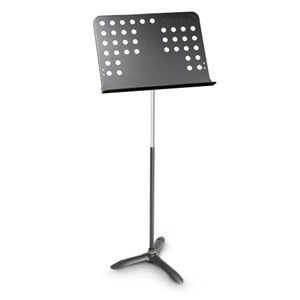 Weight: 2.6kg, music desk dimensions: 505 x 340mm, H: 740/1350mm. 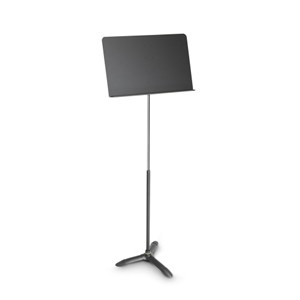 Having endured the frustration of lugging a heavy duty metal music stand around for years this product is a dream come true. It is very lightweight yet durable and it folds neatly into its own carry bag. 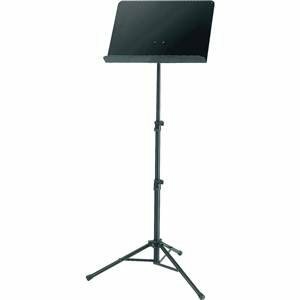 My one criticism is with the bag itself, which comes with handles but no shoulder strap which would be useful for the gigging musician with hands full of instruments etc.